LAW ANIMATED WORLD: Editorial, 'THE GREAT DECEPTION!?" in LAW ANIMATED WORLD, 15 September 2014, Vol. 10, Pt. 2, No. 17 issue. Editorial, 'THE GREAT DECEPTION!?" 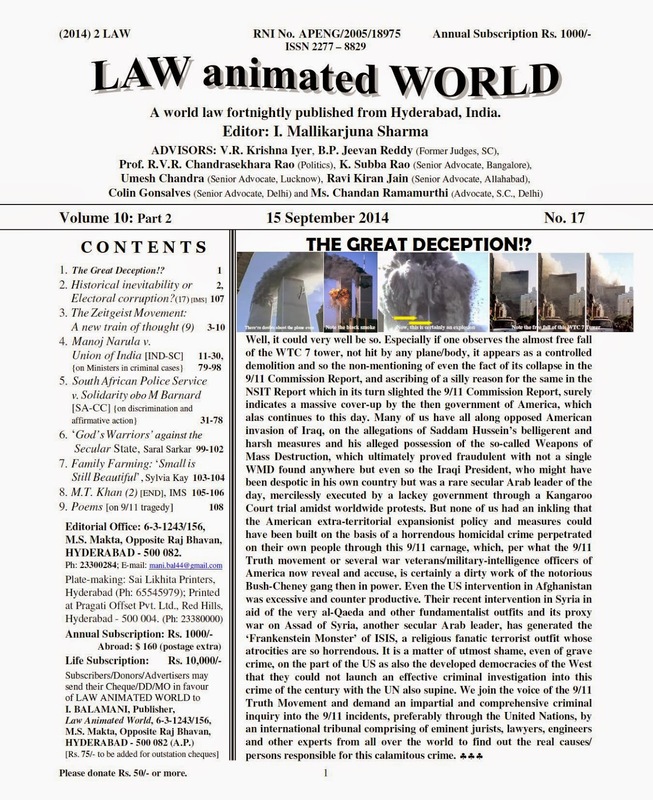 in LAW ANIMATED WORLD, 15 September 2014, Vol. 10, Pt. 2, No. 17 issue.